Opening directly onto Bourke Street, our location is second to none for true ski-in ski-out. Our family friendly hotel is waiting to welcome you, and with a range of apartment types, we can satisfy all. An extensive range of quality apartments perfectly suited for your skiing holiday. Our executive range apartments offer a luxury snow holiday. Our family properties offer bedding configurations to fit all needs. All properties are self-catering with well-appointed kitchens, quality bedding and all linen and towels provided. From cosy, self-contained budget apartments to the ultimate in luxury chalet accommodation you are sure to find your perfect retreat. Our apartment accommodation is fully self-contained. All linen including towels are provided. Ski Lib is a spacious and modern family lodge with self catering accommodation, including private ensuites. Include's a large lounge, open fireplace, commercial kitchen, games room, mezzanine area, a well equipped storage room and drying room, and guest laundry available (for a small fee). Customer service is our number 1 focus. All hotel rooms include queen size beds and ensuites. Located within the village with the free shuttle service at the door. Includes restaurant, lounge bar, ski, board and clothing hire shop so you can be fitted in the comfort of your hotel. 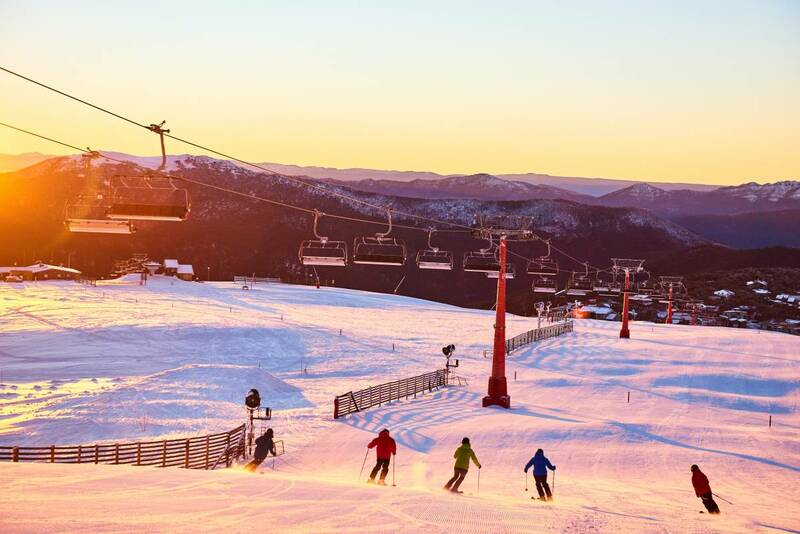 Within the Mt Buller Village, Sundowner offers comfortable and affordable accommodation. Our lodge includes 6-bedrooms and lounge with a fireplace creating a warm atmosphere. Sundowner is near stop #4 on the free shuttle bus route. Corio is a warm, family friendly lodge situated on Delatite Lane with good access to the village and the free bus. It is a short walk to Bourke Street lifts and the ticket office. Corio is close to the restaurants, bars, specialty shops & supermarket within the village. Benmore is a friendly lodge ideally situated on Breathtaker Road. Being very close to Bourke Street and Ski School with ski access to Standard Run and an easy walk to the Village, Benmore is in an excellent location. A friendly manager is available to assist guests as needed. Twelve rooms (28 beds), mostly twin rooms, all with ensuites. The kitchen, dining and lounge areas are communal. Conveniently located toward the end of Stirling Road, the village shuttle is 50m from the door. Magnificent views to the south and west. AJAX Ski Club is a family friendly lodge that is renowned for its excellent cuisine. Ajax offers premium accommodation (private rooms with en-suite) and extensive guest facilities. Accommodation includes a 3 course dinner, cooked breakfast included with your stay. Double B is a centrally located self-catering family friendly lodge with a large kitchen, open plan dining and lounge area with shared bathrooms. Double B allocates individual rooms to each booking. Guests provide their own linen and towels (linen can be hired). School groups welcome. 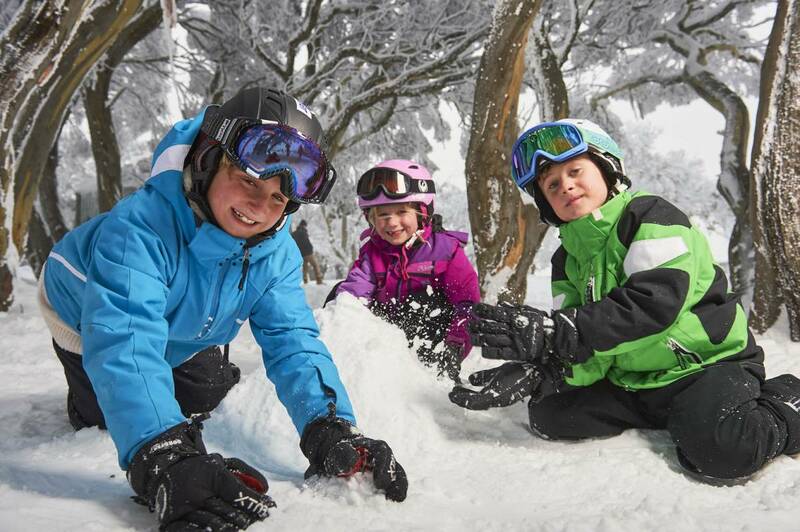 Reindeer is a family-oriented ski club that provides affordable, high quality, lodge-style accommodation boasting ski-in ski-out access. This intimate lodge is only 100 meters from Ski School and opposite some of Mt Buller's best dining & bars. These luxuriously appointed apartments are fully equipped and serviced daily for your total convenience. Accommodating from 2–12 persons in apartments ranging from 1 to 4 bedrooms. Located in a ski-in, ski-out position only 50m from the Mercedes-Benz Chairlift and 100m from the Ski School. Exceptional alpine hospitality, unparalleled customer service and incomparable facilities. Exclusive to Breathtaker, a luxurious day spa with water experience area and VIP below snowline transfer service.